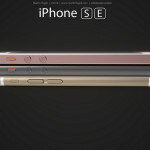 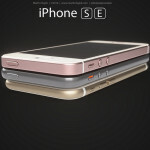 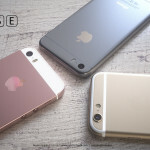 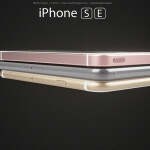 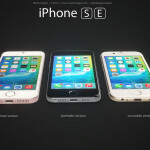 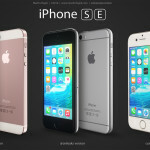 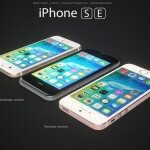 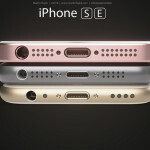 Martin Hajek Presents 3 Versions of iPhone SE; Which is More Realistic? 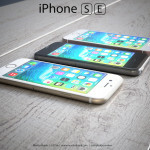 We’ve known Martin Hajek for a long while as one of the best renderers of Apple devices that haven’t been launched yet and we’ve been surprised he was so quiet with the new launches approaching. 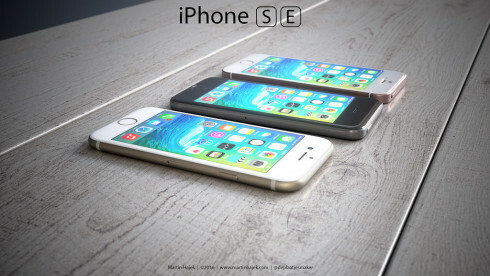 Well, he’s back to offer a comparison of the various iPhone SE editions rendered online. 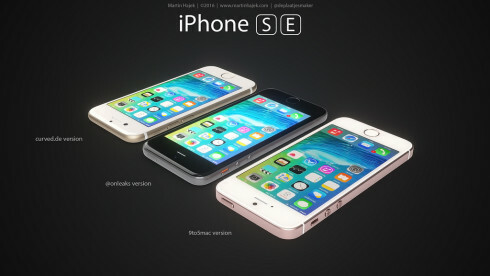 He has rendered with great attention to details the versions that have been leaked/rendered by 9to5mac, @onleaks and curved.de. 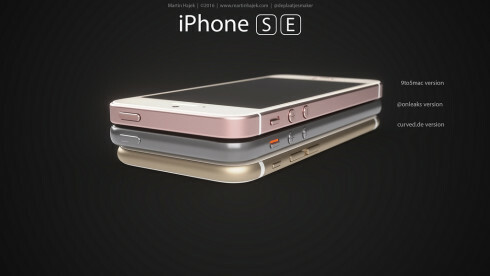 Previously known as the iPhone 6c or 7c, the iPhone 5SE and lately just the iPhone SE, the device is said to have a 4 inch screen and debut on March 22nd, during a special Apple event. 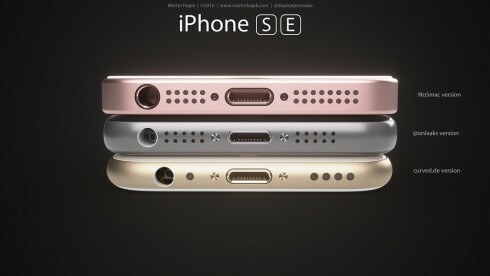 An Apple A9 CPU and 12 megapixel camera are expected here. 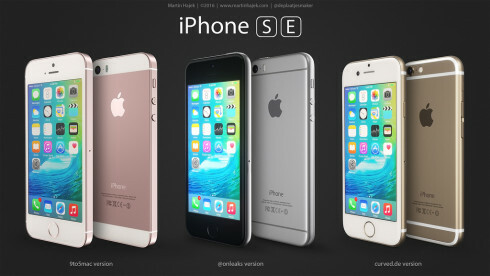 The design is similar to the one of the iPhone 6s, albeit in a smaller chassis. 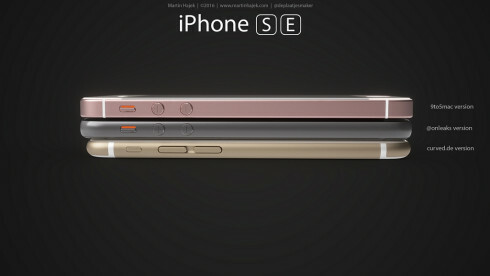 Interestingly, none of the versions gets rid of the audio jack or the back antenna cutouts. 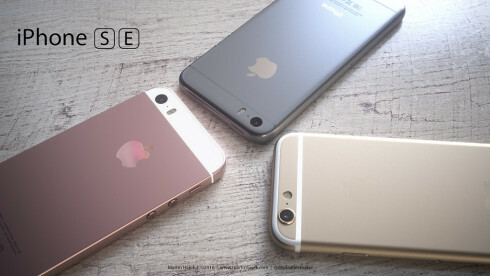 The 9to5mac is the less likely to happen, since it’s basically the iPhone 5 with slight modifications and softer edges. 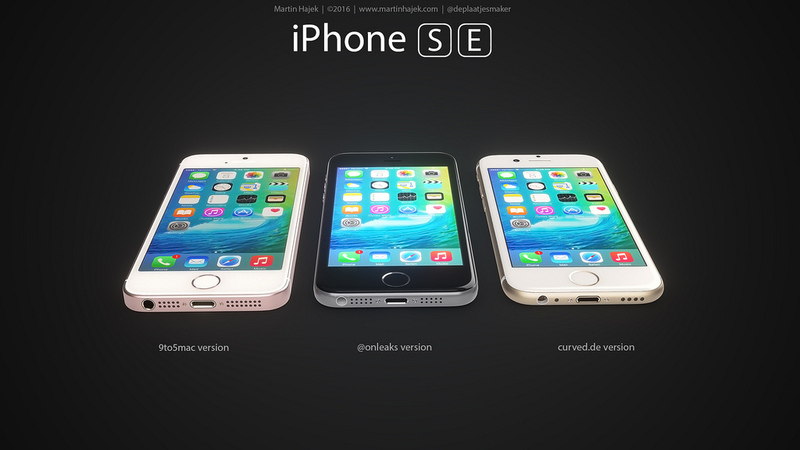 The curved.de version is a smaller iPhone 6, whle the @Onleaks one is a hybrid of the two and probably the one closer to reality. 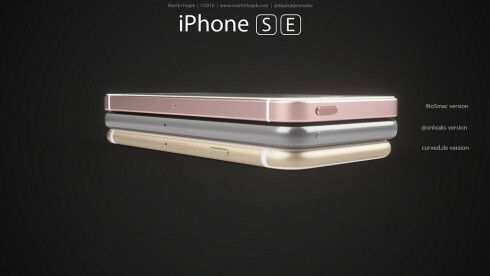 Notice that the camera doesn’t protrude on that one. Which do you think is more realistic?